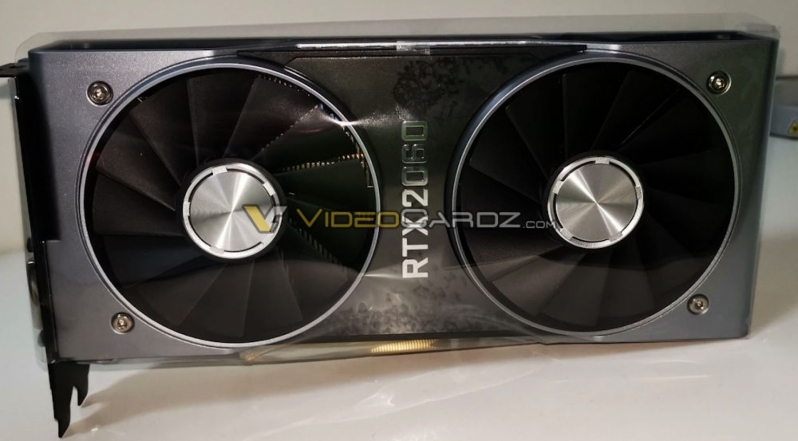 Read more about Nvidia's RTX 2060 graphics card. So basically the more RTX DICE cut out of BFV the better it runs. Who'da thunk it eh? I would worry that in the end the difference will be indiscernible. I feel having RT on this card is just a wrong promise and thus a very bad idea. If price and performance are true, that's certainly good value. It also makes me look forward to the 1160. We'll see I guess dude. If they crack DLSS* and RT a bit then it may just scrape through. * I would just turn Aliasing off myself, but whatevs. The big test? Metro Exodus. They called it a "GPU cooker" so I will be interested to see if they cut it back or left it as it was then. Price for this? too much. 1070ish performance for the same price the 1070 launched at. Or rather, should have launched at. Either way it's still pretty much same price for last series performance. I really hope Navi is OK.
1070ish performance for the same price the 1070 launched at. Between 1070 Ti and 1080 doesn't sound like '1070ish performance' to me. A 1070 Ti is still considerably more expensive than $350 and will be slower. So not only will you be getting (assuming this leak is true) better performance than the 1070 Ti for a lower price, you're also getting new tech. If the 1160 is a 2060 without RT and at a lower price, that would be even better value (assuming you don't want RT). I will believe the performance when we actually get it. Right now? it would be bucking a trend and sounds a bit too good to be true. Ed, I also don't see any SLi or NVlink connectors. Shame. Just had a look, and a think. If this card does perform as rumoured (1070ti-1080) then that makes it a 1440p card. This means that the 4gb version (or less) will seriously struggle, as my Fury X did. If it is a 6gb version for the rumoured price of £350 then it could actually be a great card to buy. I still, however, think it is too expensive, especially when looking back at the launched and then revised price of the 1060 6gb. What I mean is, when AMD released the 570 and 580 and before the mining boom it was around £250 or so which I still thought was too much, given that at launch the 970 (which it replaced in performance terms) was £240 or so. That is why I find it hard to believe it will be any faster or cheaper than the 1070. Going from the TFLOPs & clock speeds(Within 5% of 2070) of this FE against the RTX2070 FE, it seems like this is coming in at ~1950 cores(Around 15% less), so it'd make sense that RT performance(Which shouldn't have much of an impact from the much larger %age cut to memory+bandwidth) isn't too far from the RTX2070. This makes a lot of sense given the different between the other two Turing cards cut from the same die, the RTX2080Ti & Titan(Yields can't be that bad with such a mature node, especially as we get down to more sensible die sizes), as well as with keeping the Tensor & RT performance up while still differentiating in texture/shader performance with the bandwidth & memory reduction(Which nowadays is probably worth a lot more in terms of total board BOM cost). This would also bring it closer the GTX1070's CUDA count, a trend we've seen with previous Turing cards(CUDA counts closer to the 10X0 tier above). Going from the TFLOPs & clock speeds(Within 5% of 2070) of this FE against the RTX2070 FE, it seems like this is coming in at ~1960 cores(Around 15% less), so it'd make sense that RT performance(Which shouldn't have much of an impact from the much larger %age cut to memory+bandwidth) isn't too far from the RTX2070. This makes a lot of sense given the different between the other two Turing cards cut from the same die, the RTX2080Ti & Titan(Yields can't be that bad with such a mature node, especially as we get down to more sensible die sizes), as well as with keeping the Tensor & RT performance up while still differentiating in texture/shader performance with the bandwidth & memory reduction(Which nowadays is probably worth a lot more in terms of total board BOM cost). As I said we'll see I suppose. Right now? it doesn't seem to carry any caveats at all, which is unheard of for a GPU in modern times. Whilst I would like this positive BS era we lived in *if* things ever lived up to the hype I must say I am rather jaded with the entire "thing" from top to bottom. The industry, the con merchants (cough ram and SSD cough cough) and the bent "reviews" on YT which are nothing but advertisements, smashed out by one of their drones. The sad part is that the 2060 could have been a legend. You know? kinda like the GTS 450, 550, GTX 460 etc. You could have combined two, and given the £1500 card a run for its money. Sadly Nvidia stopped all of that fun. If they really cared they would embrace devs to get the support in, and leave the connectors be on smaller cards. I used to love using two low/mid range cards to get bleeding edge top end performance. It's sad how politics within the industry and cash have completely hobbled it.